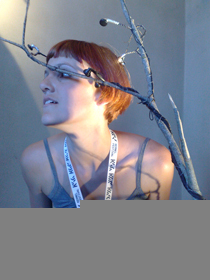 in-ear headphones replace where the trees branches once bloomed and allow for live sound to fill the branches of the tree. ‘in bloom’ is a direct response to the visual and sonic landscape experienced whilst considering the natural environment of the champagne region of france. 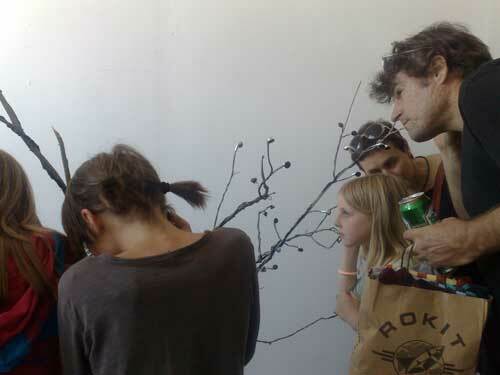 the dead tree has been brought back into bloom using buds formed from wired headphones which channel live ambient sound via live networked media. 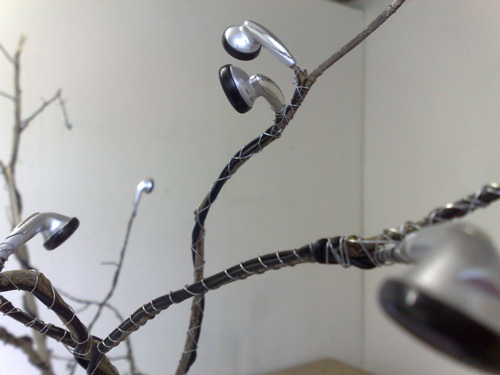 the sound generated switches using max/msp between live microphones in locations where the tree has been exhibited. france, italy and the uk. 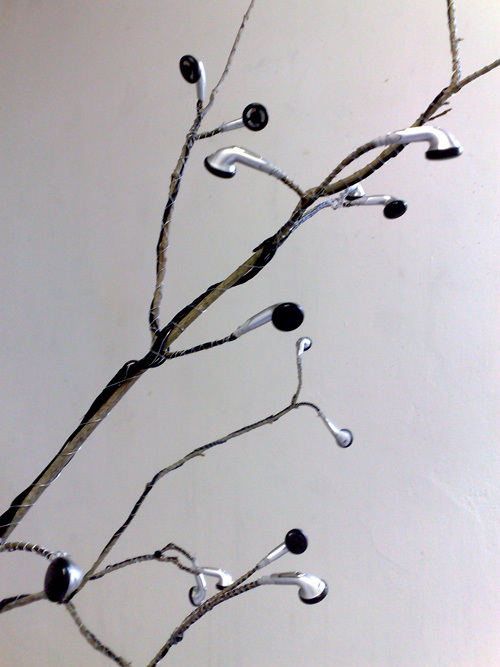 the re-locating of the work allows it to be considered in a greater and more universal context, as the relationship between the sculptural qualities of technology and nature are explored. the tree continues to ‘root’ in each location, seeking sound sources to fill its branches and questioning ideas of displacement, settling on transiently in each place it is exhibited. please contact the artist directly for full pdf portfolio of this piece.